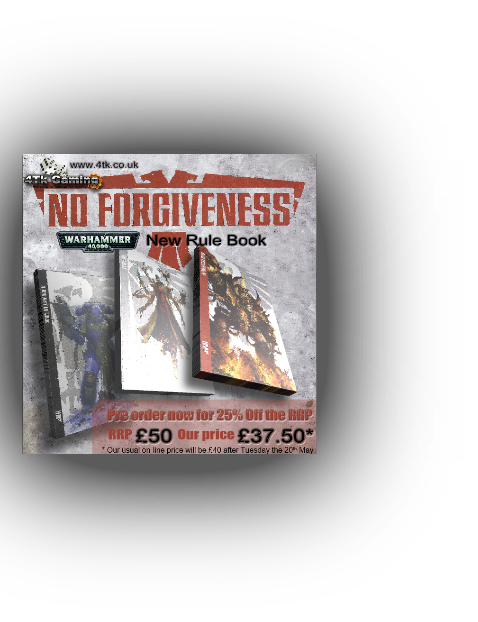 The New Warhammer 40000 Rules which will be a permanent feature throughout 2014. 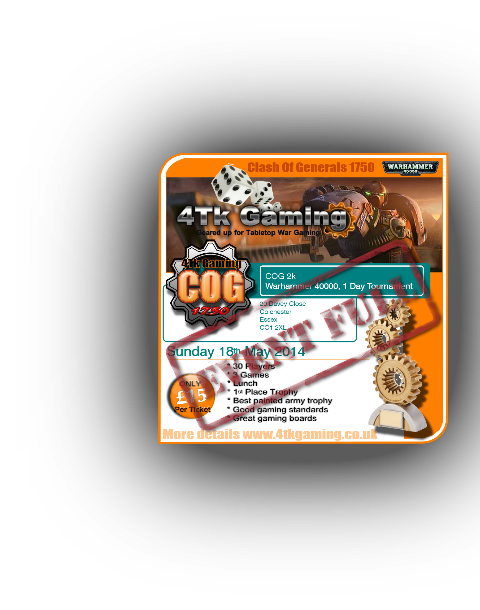 Our COG Tournaments continue to prove a successful format with COG 1750 being sold out almost 2 months before the tournament. 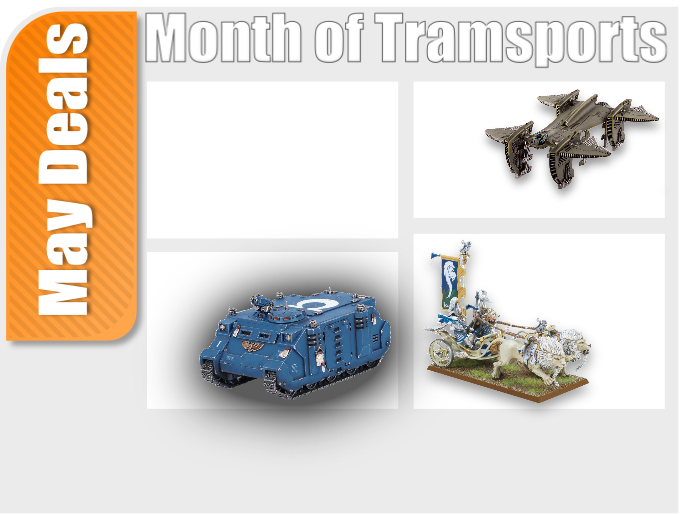 This month we have 30% off selected Transports and Chariots from GW & Dropzone Commander. 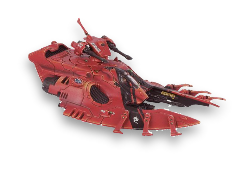 These offers are on whilst stocks last and do not form part of our promise to only list what we have in-stock. 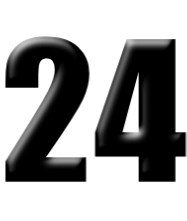 You all know its on it way so keep an eye on what we are doing in making the change a little easier to bare……. 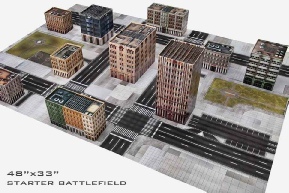 Despite some of the bad press, Games Workshop do it again with another fantastic example of why they lead the market when it comes to the Tabletop Gaming Hobby. 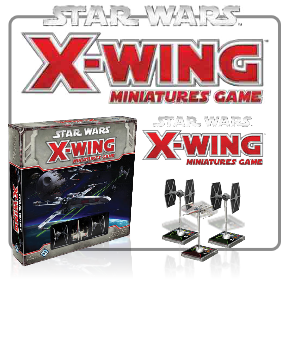 This new rule book addition looks great and is set to have some major game changes when it come to how you play the game and choose your army. 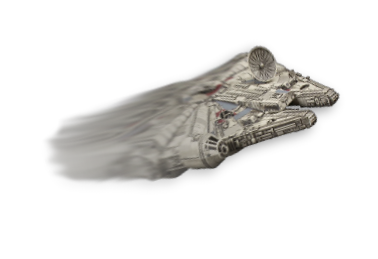 The new rule book comes in 3 parts with part one being, A Galaxy at War, which is your guide to the hobby and what makes it great, part 2, the Dark Millennium, which contains the key background “fluff” and finally and obviously the rules which is great to have as a single small more manageable book.